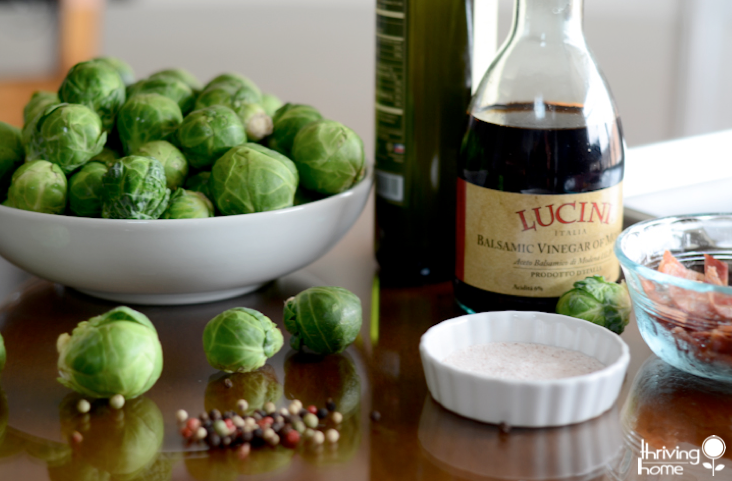 Mention the words ‘brussels sprouts’ and the responses can be polarizing. 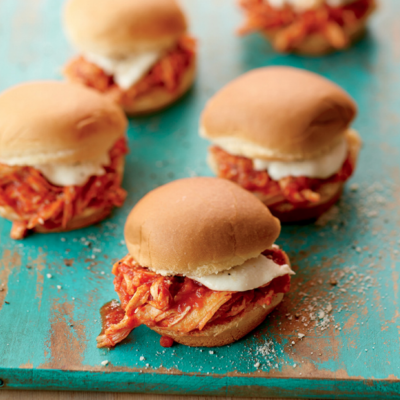 I hear anything from, “ohmygoodness, LOVE them!” to “Um, I am not a fan of those baby-cabbage things.” Jessica from Mayvn here, and whether you are a fan or not, this slightly sweet-salty recipe will hopefully get into your regular fall rotation. You may even convert a loved one from being a brussels-avoider to an all out fan. 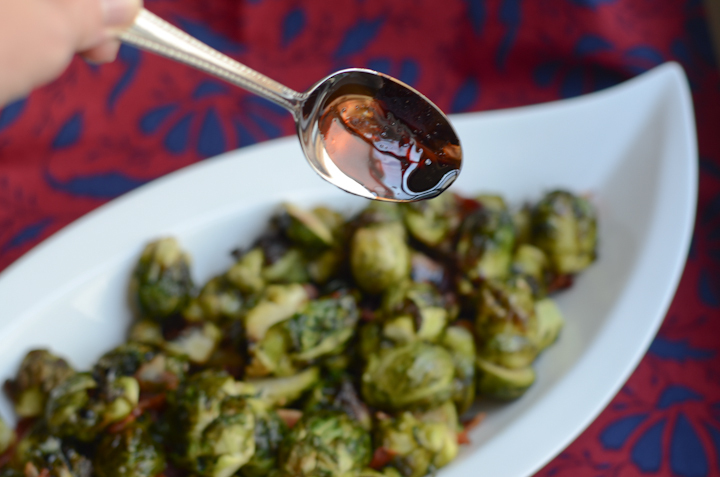 This Roasted Brussels Sprouts with Bacon and Honey Balsamic Reduction recipe is a personal family favorite at our house. 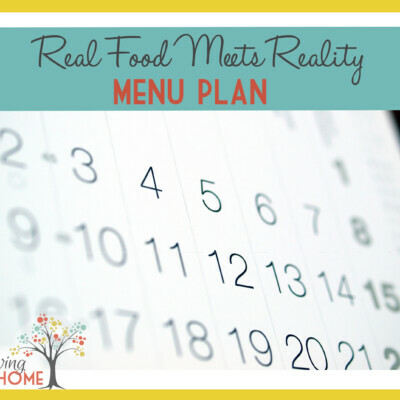 My six-year-old even put these on her recent birthday menu, inspiring this post. 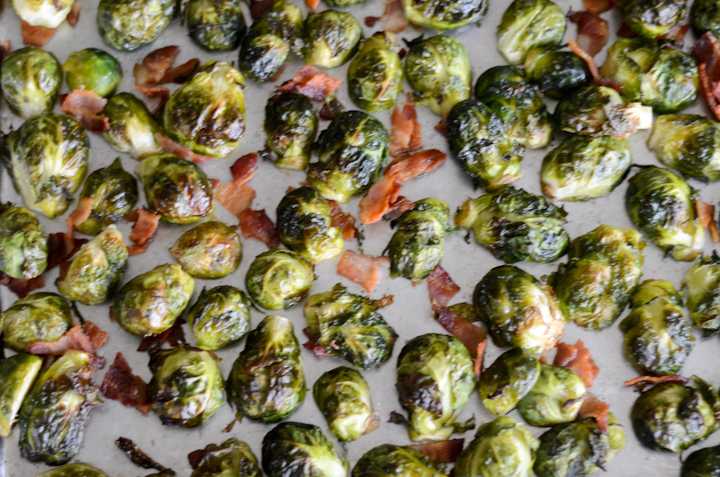 These sprouts are roasted with briny uncured bacon and a drizzling of olive oil so they come out of the oven crispy. Then, drops of a honey-balsamic reduction (tutorial included) are scattered around the pan making it full of flavor and completely fool proof. 4-6 ounces uncured bacon, lightly cooked in the method of your choice to drain off some fat (it will get crispy later in the oven with the brussels sprouts). 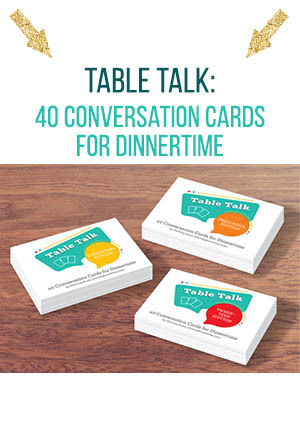 1) Preheat the oven to 400 degrees. Place the brussels sprouts on a sheet pan. 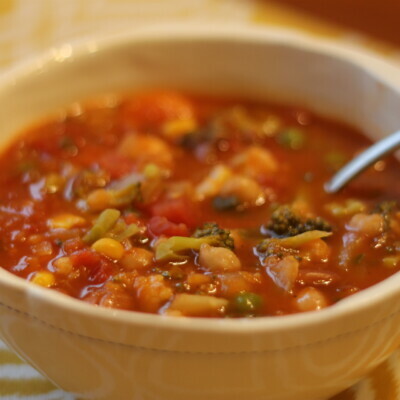 Drizzle with olive oil, 1-2 teaspoons salt, and 1/2 teaspoon pepper. 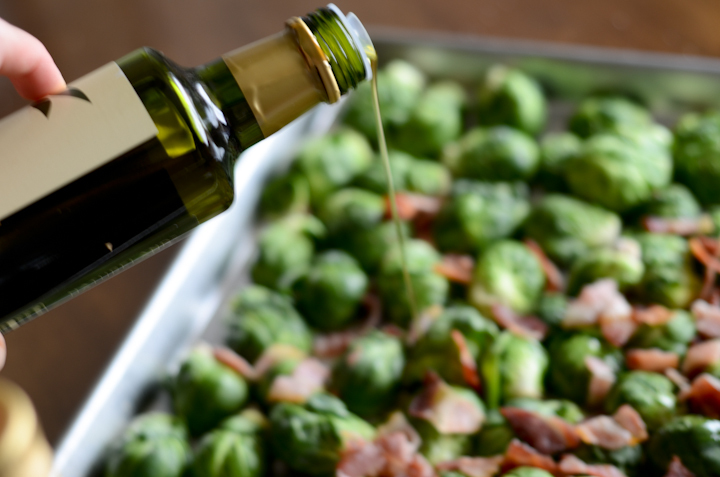 Sprinkle bacon over the sprouts and toss with your hands. Spread out in a single layer. 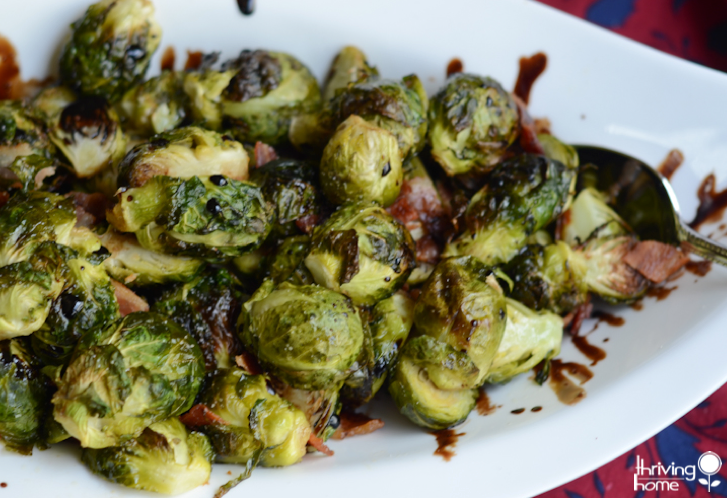 2) Roast the Brussels sprouts for 20 to 30 minutes, until they’re tender and the bacon is crispy. Meanwhile, reduce the balsamic vinegar (see method below). 3) Remove from the oven, toss them, and drizzle immediately with the balsamic vinegar. Taste for seasoning and add salt or pepper to your preference. Enjoy while hot! When vinegar is cooked, it reduces in volume and naturally gets sweeter and thicker, making it a luxurious addition to sweet or savory dishes. 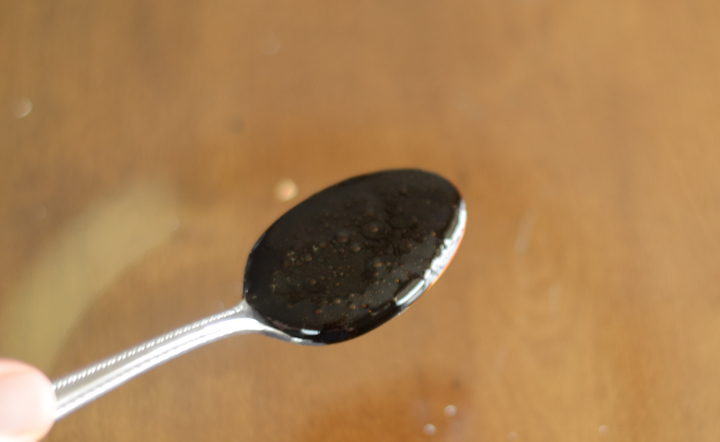 Balsamic reduction is also delicious–used sparingly– on hot sandwiches, grilled fruits, panzanella salad, fish/meats, and even creamy desserts. Try to purchase the best quality vinegar you can afford; the better the vinegar, the tastier the reduction. Stir together and bring balsamic vinegar and honey (optional) to a boil. Reduce heat and simmer until reduced by 1/2 and liquid becomes syrupy. Be careful not to burn or overcook. It will continue to thicken as it cools. 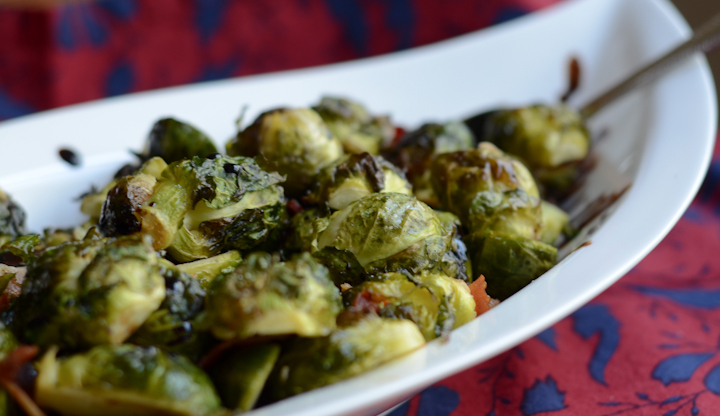 Sweet and salty roasted brussels sprouts are a super tasty, healthy side dish. Try them with bacon and this balsamic vinaigrette reduction. The flavor combination is amazing! 4–6 ounces uncured bacon, lightly cooked in the method of your choice to drain off some fat (it will get crispy later in the oven with the brussels sprouts). Preheat the oven to 400 degrees. 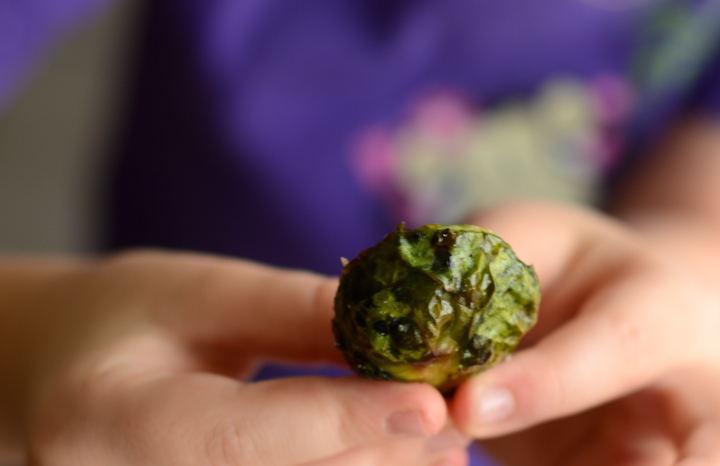 Place the brussels sprouts on a sheet pan. 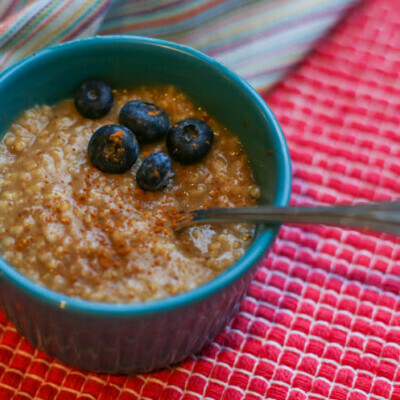 Drizzle with olive oil, 1-2 teaspoons salt, and 1/2 teaspoon pepper. 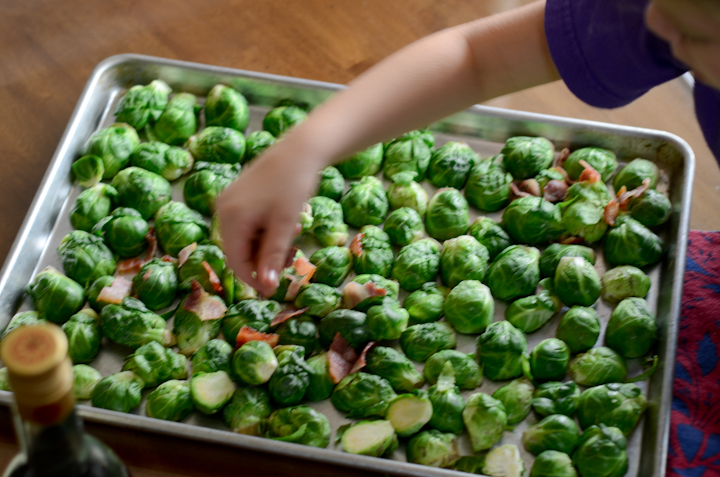 Sprinkle bacon over the sprouts and toss with your hands. Spread out in a single layer. 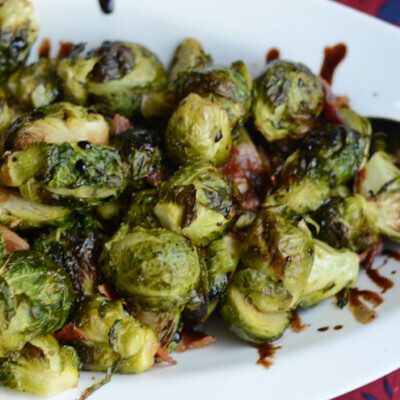 Roast the brussels sprouts for 20 to 30 minutes, until they’re tender and the bacon is crispy. Meanwhile, reduce the balsamic vinegar. Remove from the oven, toss them, and drizzle immediately with the balsamic vinegar. Taste for seasoning and add salt or pepper to your preference. Bring 1/3 c. balsamic vinegar and 2 tsp. honey (optional) to a boil. Reduce heat and simmer until reduced by 1/2 and liquid becomes syrupy. Be careful not to burn or overcook. It will continue to thicken as it cools. 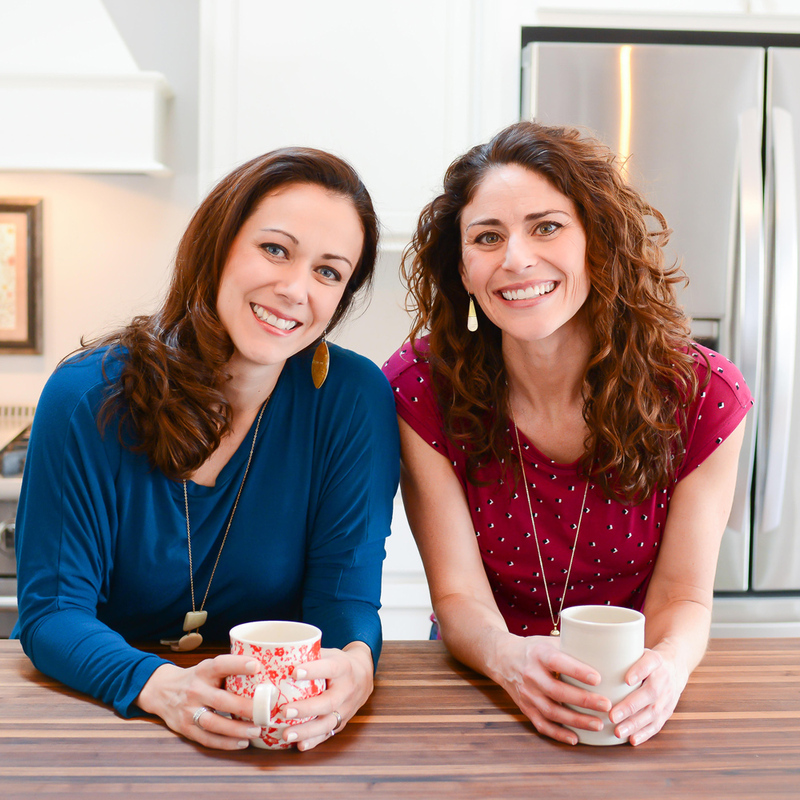 Jessica is a freelance writer, stylist, and recipe developer. 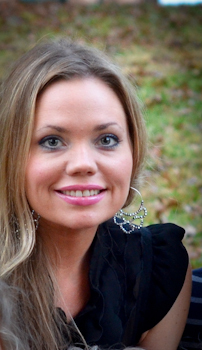 She lives in Austin with her husband, two daughters, and son. 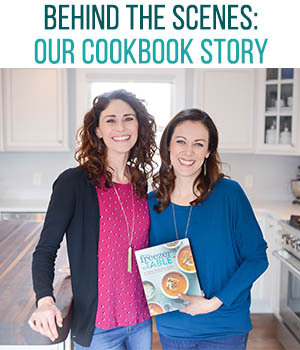 She loves makeup artistry, interiors, travel, being in the kitchen with her kids, creative living, and exploring the streets of Austin for inspiration and the best food dives. Yes, definitely cut them in half! 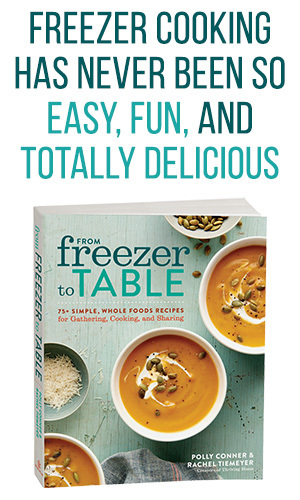 I accidentally left that out of the method when writing the recipe. it in the fridge for several weeks. They sell reduction at the grocery store, but it is very pricey. I made your recipe tonight and it was really good. Jack (age 6) ate 3 of them! Next time, I think I might do two things differently: a) cut them in half so more surface area gets a nice crust and gets some of the yummy seasoning/sauce, and b) make more of that delicious reduction sauce. I’m so glad I learned how to make such a fancy but easy new sauce. Thanks for the recipe!